Are you interested in developing practical skills to lead, love, and serve marginalized people in a broken world? Engage is for you! Engage is offered as a two-day intensive that is designed to shape the heart and character of leaders, as well as train mentors and volunteers to walk with people in the margins of society. Engage is a faith-based training that focuses on equipping people to engage in areas of injustice. Anyone is welcome to go through this training! Engage is perfect for anyone already serving with an organization, anyone trying to decide where to serve, or if serving is for them. 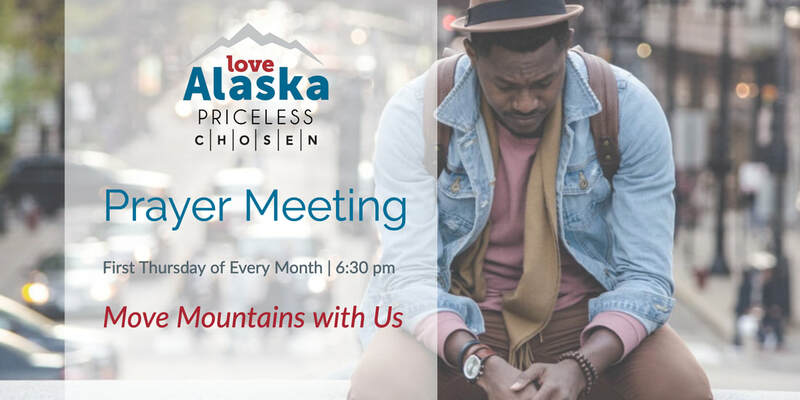 ​Engage is the first step in being involved with Love Alaska, Chosen, or Priceless. Friday | 6 p.m. – 9 p.m.
Saturday | – 8 a.m. – 6 p.m.
​$95 – Fee includes all materials and lunch on Saturday. The battle we fight is not against flesh and blood; it is primarily a spiritual battle. We seek to join in the fight for our state and for God's people on ALL fronts, but especially through the work of prayer. Join us as we unite in prayer for our churches and for the marginalized people ​we've been given the mission to serve.